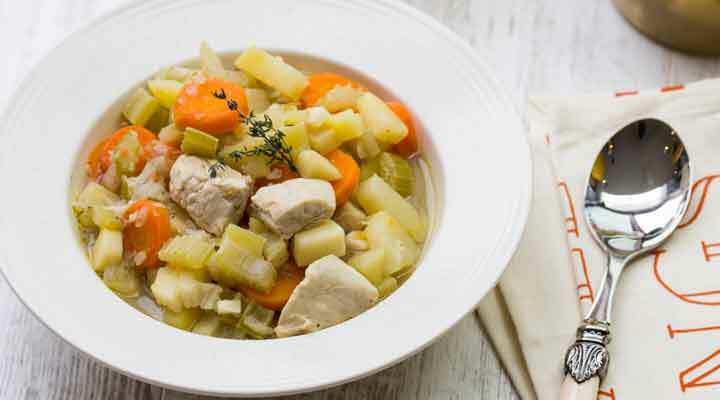 Siobhan Berry of MummyCooks.ie shares a recipe the whole family will love. Preheat your oven to 180°c. Heat the oil in a casserole dish over a medium heat and sauté your onion and celery until softened. Add the chicken to the pan and sauté for a further 3 to 4 minutes. Add the carrots, potatoes, parsnips and tomato puree, pour over the stock and bring to the boil. Cover with a lid and cook in the oven for about 45 minutes or until the vegetables are softened. Serve with rice or blend to the required consistency for your baby.